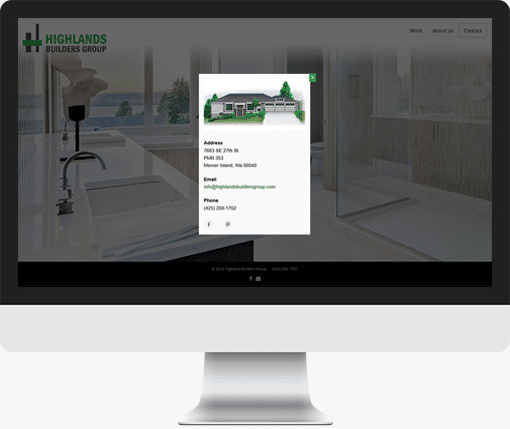 The Highlands Builders Group is a cutting-edge design and build firm. They requested a website that could elegantly convey their style and commitment to state of the art design. The images are large and dramatic, but flexible enough to fit any size device screen. Their broker, Bria Heiser is another AllProactive Communication client. A modern responsive design expands to fit the largest displays. Visually sharp and sophisticated.